What happens at 12:01am tonight? It will be the first time in 10 years that we’ve had a year end in 5. What is crazy, though, is the slew of promises, plans, and surge in unused gym memberships that come with the New Year. So today’s post is to help you actually get your money’s worth from those New Year Resolutions. 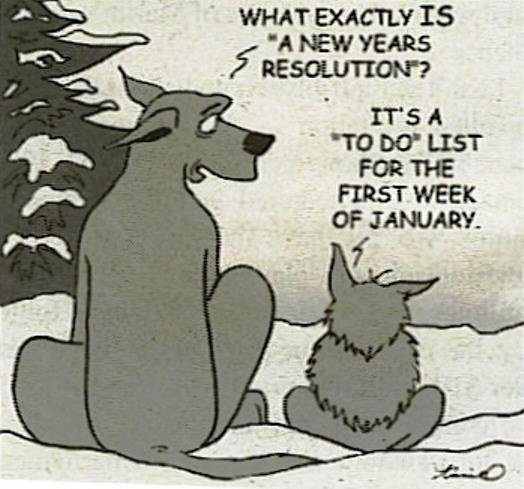 Or at least do less terrible than you did last year. 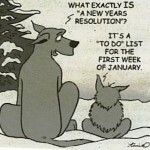 Don’t make your resolutions a doggone disappointment this year. For although everyone may have the goal to lose weight, Jenn’s research shows that what is really crucial is the certainty one has in the goal: rather than the goal itself, it’s the certainty that more likely predicts actual behavior. However, even if you’re certain of your goal to lose weight, the activities and discipline required to achieve that goal often seem like unpleasant work. But how does this view of weight loss actually affect your progress toward your goal? Researchers had participants go on a 2 kilometer walk around a lake. For half of the people, it was called an “exercise walk;” for the other half, it was called a “scenic walk.” After the pleasant jaunt, the participants were offered a variety of sweets to eat. As it turned out, those who thought of the walk as exercise ate over twice as many calories (124% more) compared to those who considered the walk as something enjoyable. That is, even though both groups did exactly the same amount of work, those who considered the walk as “exercise” therefore felt justified in consuming more sweets. Thus, when you go to exercise, don’t do something laborious that you believe deserves a reward; do something you already want to do that also helps keep you in shape. One of the best tips research can give you about any goal, however, is to take it in baby steps. For example, when I first attempted to write a novel, the amount of work ahead paralyzed me: come up with a plot, write the whole thing, find an agent, get it published. But those considerations are only there if you focus on the outcome. Rather, you should focus on the process. For example, I committed myself to writing 500 words a day—an insignificant amount in the grand scheme. But now, nearly 3 years later I’m submitting it to agents. Werle, C., Wansink, B., & Payne, C. (2014). Is it fun or exercise? The framing of physical activity biases subsequent snacking. Marketing Letters.